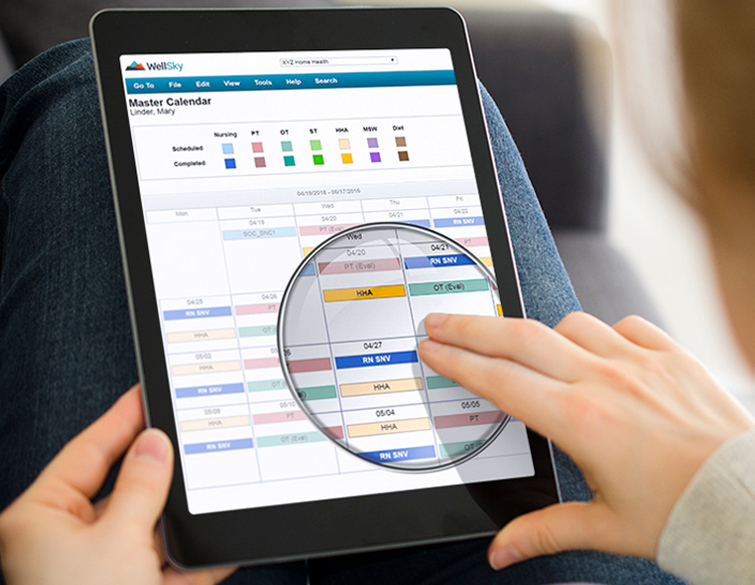 WellSky Home Health optimizes intake, eligibility checks, and calendar management. 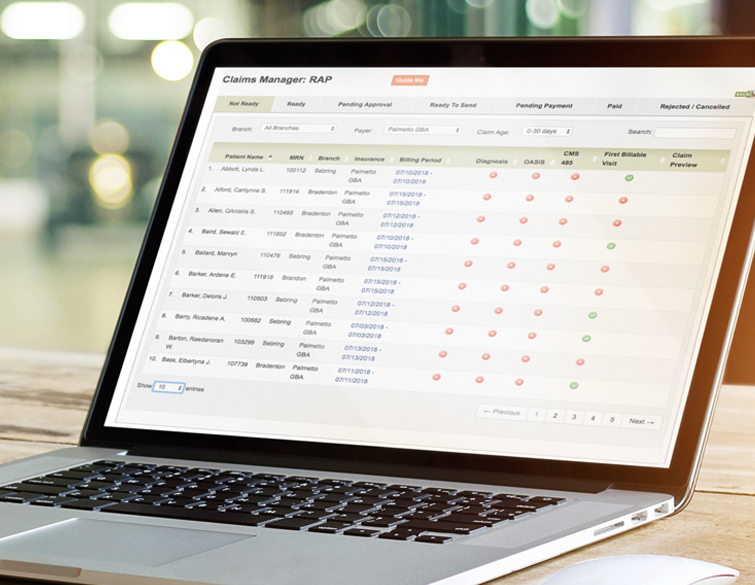 Your agency will be able to receive referrals seamlessly and securely, manage authorizations and eligibility easily, see all visits by disciplines on one calendar, and schedule entire episodes of care in seconds. Our solution’s collaborative and intuitive charting solutions enable your team to coordinate care across your agency with HIPAA-compliant messaging, to simplify daily schedules, tasks, and documentation for clinicians, and to gain real-time oversight with Electronic Visit Verification. WellSky accelerates quality assurance for every department and employee in your business while improving quality. You will have the ability to tailor QA to your agency and staff, route documentation automatically, identify OASIS issues in real-time, and stay survey-ready and compliant. Our Home Health solution expedites the claims process for managed care and Medicare patients to shorten and improve your revenue cycle. Using one, simple workflow, you can immediately batch and submit claims as visits, orders, and EOE worksheets are completed. 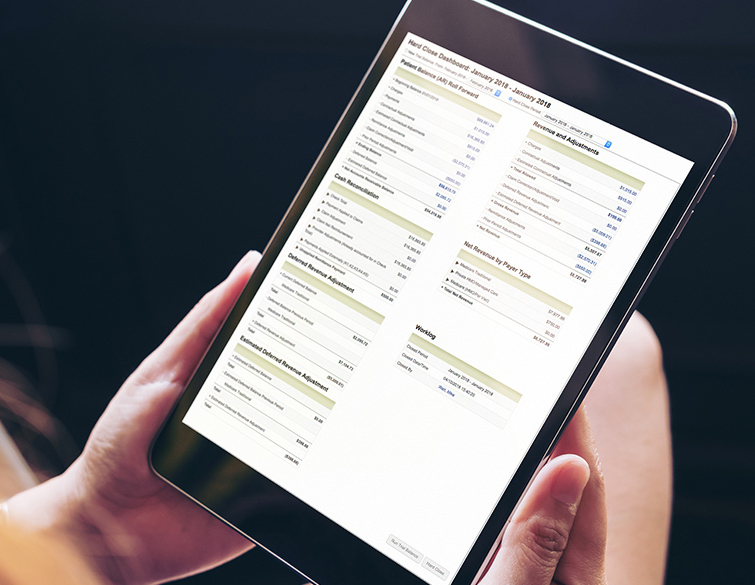 We optimize financial performance through automated accrual accounting, dashboards, and daily reports. WellSky Home Health accelerates revenue cycle and empowers you with greater financial clarity and understanding of performance across locations. Now you can predict your patients’ risk of rehospitalization with WellSky Home Health Applied Insights. Our Applied Insights technology automatically analyzes hundreds of data points from each of your patients’ records to determine which of your patients need increased attention. 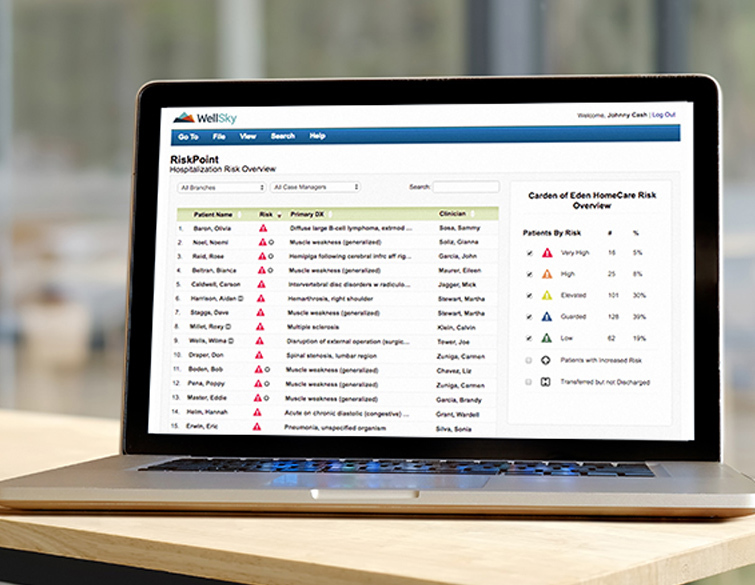 Review your patients’ risk levels on an easy-to-use dashboard, quickly identify at-risk patients, and empower your clinical team with the insight they need to take preventative action. The WellSky team has been hard at work on the Patient Driven Groupings Model (PDGM). 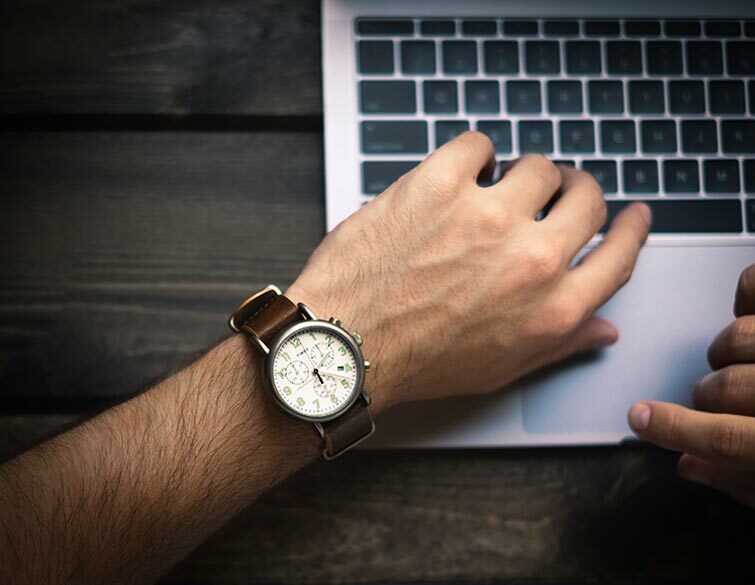 We are here to help your agency adapt to the new demands of PDGM while also delivering the clinical and back office software efficiency your agency needs to thrive under the new payment model. To help you understand and prepare for this change, our team of home health experts has developed the WellSky PDGM Resource Center, giving you and your staff free access to education and insights from the industry’s most renowned educators. Our solution is accessible on all of your connected devices (tablets, laptops, phones) so you will always be on top of what’s happening in your business. WellSky combines everything your home health agency needs into one convenient application, streamlining tasks, improving communication, and facilitating collaboration. Our offline point of care solution allows your clinicians to work anywhere, anytime, even when disconnected from the web. With major time savings and improved accuracy, clinicians can focus on what really matters — caring for patients. This additional solution verifies home health visits with a simple patient signature at point of care. Seamless and easy, the solution gives administrators real-time oversight and immediate verification that visits have taken place. With WellSky Home Health Applied Insights, your agency can identify, monitor, and proactively care for your patients who are at the highest risk of hospitalization. WellSky Applied Insights gives your agency a dramatic clinical edge, while also providing a significant marketing advantage. When your agency can demonstrate low hospitalization rates to referral sources, hospitals, and accountable care organizations (ACOs), you can build strong referral relationships and grow your business. 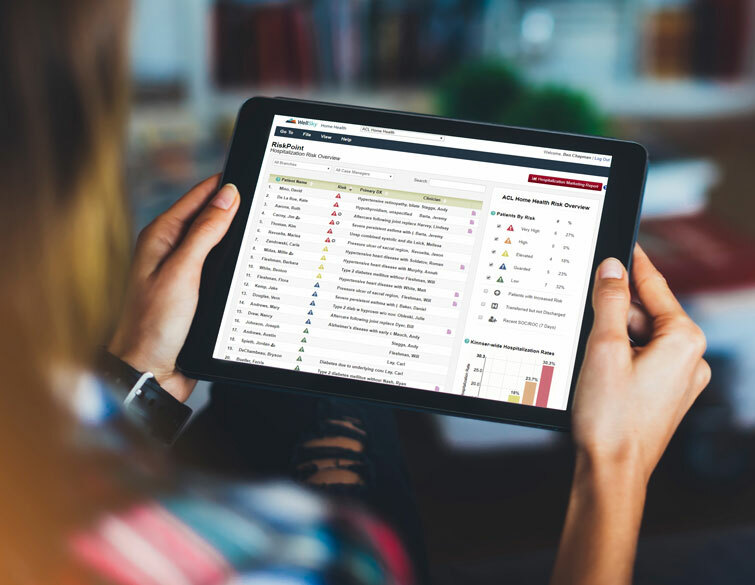 Our business intelligence software empowers your agency with insight to generate more revenue, drive greater efficiency that lowers cost, identify patient trends, and expose evidence-based opportunities for clinical improvement. WellSky offers market-leading OASIS-analysis software and coding services for the home health care industry. Our team is comprised of nurses like you, developing innovative solutions to help improve your agency’s OASIS accuracy, reimbursement, and patient outcomes. The WellSky DDE & Payer Connection software solutions developed by MedTranDirect provide powerful tools for home health and hospice agencies. These include a Notice of Election Tracker that validates data, clarifies status, and avoids penalties, connections portals to Medicare and non-Medicare payers, and claims-processing tools. Our solutions are backed by 30 years of experience and help agencies eliminate thousands of dollars in lost monthly revenue.